In the language of business, quotations come in very vital and play an essential part should there be a transaction made between two parties. 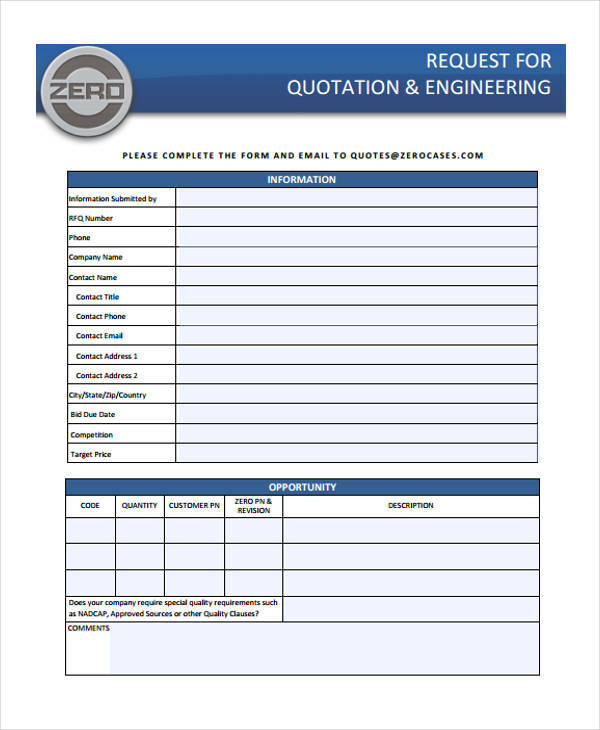 There is a variety of quotation format ideas for engineering quotations and each template would vary on engineering works that are tasked by an establishment. 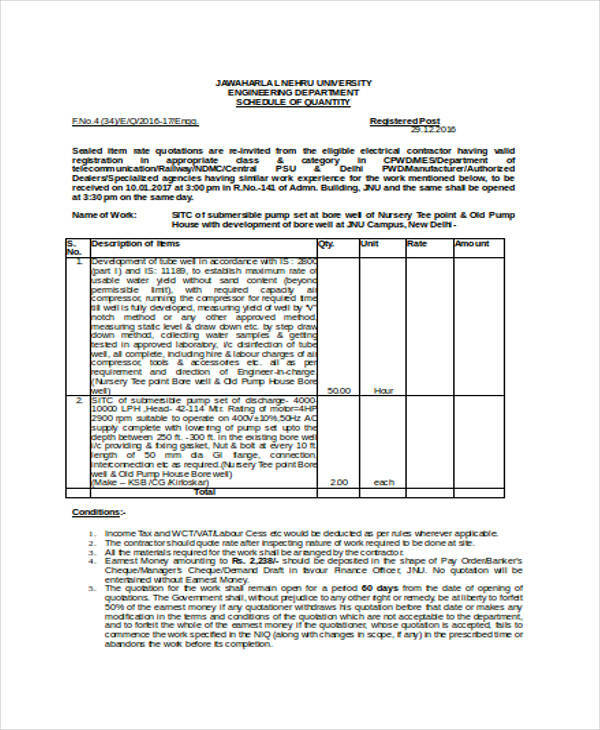 The quotation uses are efficient in a business transaction by filling out the details necessary for the services or products including the dates, especially a period of time when a business is engaged with a contract, and other. 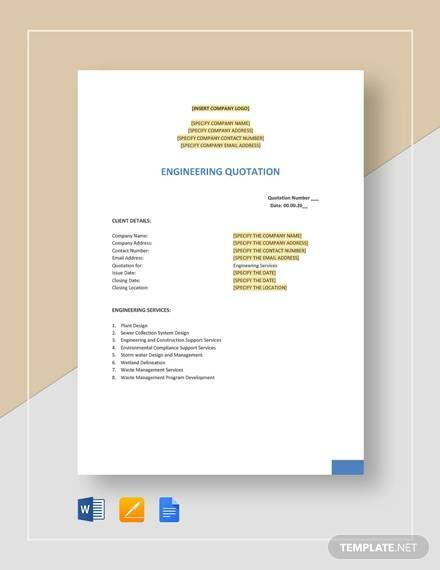 Here are some engineering quotations templates to satisfy the aspect of a business where these are mostly needed. The subject or the services offered by a company with necessary descriptions in it to specify a client’s needs. A time schedule for a specific price of services and products. This also includes the span of time when a project will be completed and when materials needed for a project will be delivered. 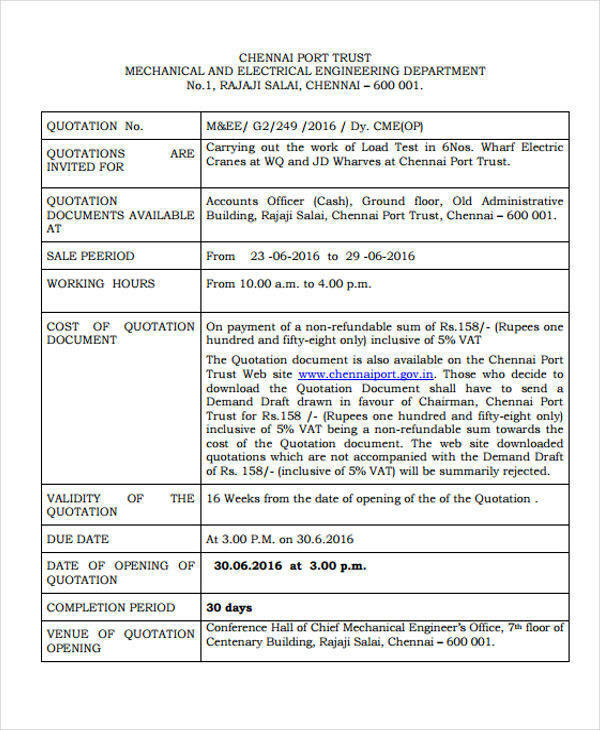 A good formatting of an engineering quotation hugely helps a company invite clients to participate in a certain project or acquire goods and services, that is why it is a must to take full note about guidelines in writing an effective engineering quotation for a company to deliver a message with a sense of urgency similar to company quotations. 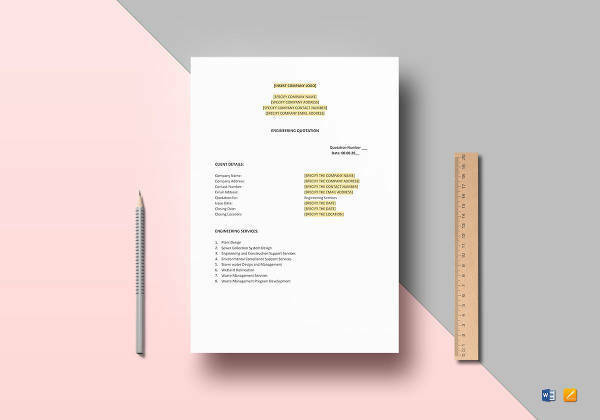 For purposes of outline, a quote template can be used as a guide. If one sees that a template does not consist of an information vital to a project, then he or she may add some things so that the client will have full knowledge even to the minute details of a project. Professionalism and the sense of urgency can be observed by using the right style and size of the font. 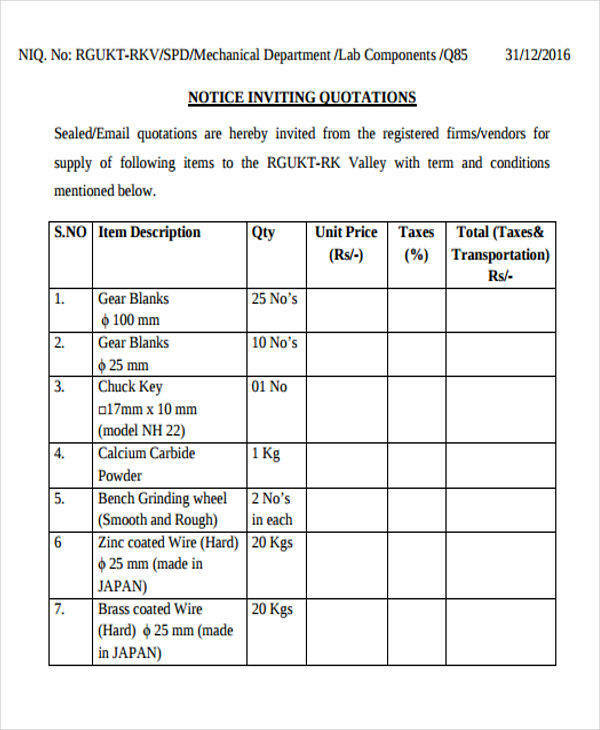 Besides delivering an important message, the content must be readable so that clients will not find anything suspicious in an engineering quotation. 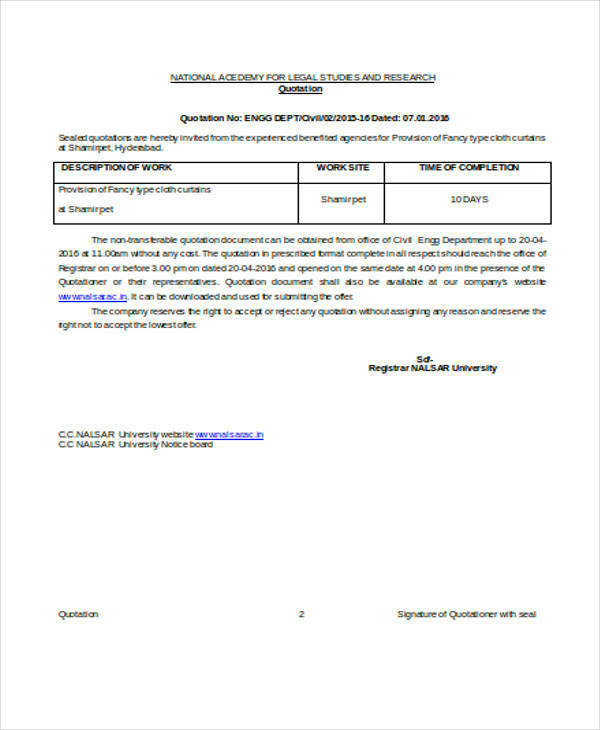 Always remember that the purpose of the letter is to be read by clients, not to fascinate them with the various font styles and sizes that your computer has. All information has to be up-to-date. This is very vital, especially if a contract is involved, so that when terms of service have been agreed upon between the client and the company, the lines in breaching a contract will be drawn visibly. 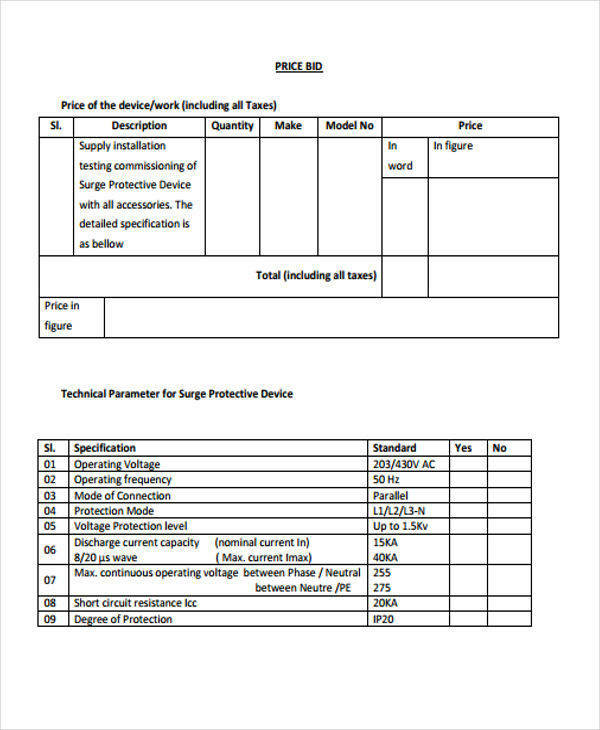 All details of information written in an engineering quotation must be relevant to the project, otherwise clients will be baffled, which draws hesitation. A clear statement of terms of service.